It is often that we may want to play big, or as my coach Mia says, “Play Full Out.” Yet, there’s something that sometimes gets in the way of us living the life we want and deserve. Just take a moment and picture this. You are stranded on the beautiful yet deserted Fearless Island, waiting for someone, somehow, somewhere to rescue you. You are scared, frustrated, and ready to get back home. You begin to pray, hope, and wish someone, somewhere will miraculously appear to take you back to the safe place you call home. The only problem is, you can’t take a boat because of your sea sickness and nauseousness. You can’t take an airplane because of your fear of heights. Certainly you can’t swim all the way back home because what happens if you get tired and drown before you reach the shore? Suddenly, a stranger with a boat arrives and almost seconds later a helicopter arrives both with an offer to take you back safely under one condition. The condition is that you must never allow fear to paralyze your present actions and sabotage your future success ever again. With stress, anxiety, and frustration mounting you must agree to the condition and make a decision in 60 seconds OR the rescue vehicles will return back to their journey without you. What are you going to do? Now, while I just took you on a journey to Fearless Island, I want you think about your life today. Do you currently live your life with limitations and excuses that validate you not taking courage over your greatest fears? Are you afraid of really giving something your full attention and effort for fear that it may fail? Do you constantly make excuses that you aren’t this enough, that enough, don’t have time enough, and therefore can’t follow your dreams? Have you ever imagined what life would be like if you were guaranteed to succeed at what you set your mind and will to accomplish? Would you believe me if I told you that you have the opportunity to unlock a very special “superpower” in your own life? Rather than shrinking because of another’s “superpowers” each one of us can tap into our own gifts and see just how powerful God is and created us also to be.” Ladies and Gentlemen, it is with great pleasure that I now introduce to you The Secret of The Wealth Success Chamber. What really occurs with the Wealth Success Chamber is that the light of destiny beautifully eradicates and uproots the deadly seeds of fear, insecurity, bitterness, shame, and defeat that have grown gardens in your heart and mind that form the appearance of rotten fruit, weeds, and wilted flowers. Next, new seeds of clarity, confidence, courage, joy, beauty, and wealth are planted to re-design your life to truly be defined resembling the appearance of a luscious garden; full of beautiful flowers and mouth watering fruit, planted in the soil of your heart and mind. Friends, what happens when you unlock Your Wealth Success Chamber, is that you begin your journey of true personal transformation to start designing your life today in a way that is supportive and no longer sabotaging to your future and destiny. When you unlock Your Wealth Success Chamber, Your life story transforms into a beautiful Success story of abundance, love, honor, triumph and victory. Are you ready to unlock Your Wealth Success Chamber? Are you ready to take action on living the life of your dreams? Here’s what I believe about dreams. I believe God has blessed us all with three gifts that are often revealed in our dreams: the gift of creativity, the gift of imagination, and the special gift of our own unique super-skill. A super-skill can be defined as anything you are exceptionally good at, enjoy doing, and can use to help make your world a better place. While each gift is different, they all work together to empower us to live our lives at the peak of our potential, if we exercise them. The choice to exercise each of those gifts is one that solely belongs to each of us, independent of anyone else. Once you decide you are done playing small, living in fear, and are ready to start using your gifts of creativity, imagination, and your super-skill, you then are ready to move forward and will need to ask yourself a few more questions to gain clarity. Keep in mind, knowing the “fully developed how” is not a pre-requisite for making the choice to move forward. You may not know all the inner workings and details before you decide and start moving forward and that’s ok. It will be your responsibility to take ownership and start learning what you don’t already know via all methods of learning available in today’s society. Ask yourself? 1. When will I stop making excuses and start taking action on my future? 2. Who will I receive Coaching, mentorship or guidance from to help me reach the next phase of my journey? 3. What am I willing to sacrifice and invest in to transition from my present into my future? Take a moment to really think about what you will start building, creating, or taking action on since you now know you have everything it takes to make it successful. What’s one dream you are going to turn into a goal? What’s one goal you are going to turn into a successful accomplishment? 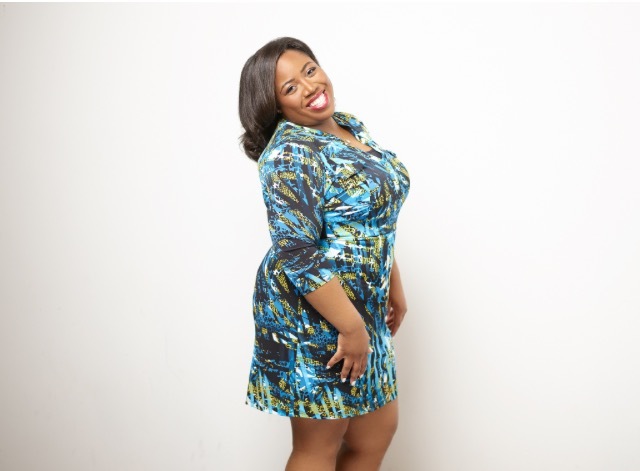 Nikita Lawrence, Women in Leadership Mentor, Best-selling Author, and Keynote Speaker is the founder and CEO of Wealth Success Chamber Enterprises LLC. Wealth Success Chamber Enterprises LLC is a professional development company, specializing in consulting, training, and coaching for senior leaders and business owners. The company's vision is to serve as the premier Professional Development Service provider to which clients access solutions and systems for mentoring women in leadership and developing a pipeline for diverse talent to ascend to the highest levels of leadership in the organization; narrowing the Wage and Wealth Gap. Her company focuses on helping clients grow their emotional wealth, leadership acumen, and business acumen, while growing the relationships they treasure the most. Nikita says of her work, "My focus in any client relationship is to help leaders remove obstacles, step over fear, use their special gift, and reach the peak of their potential, making a true difference in their world." As a consultant and leadership expert she is a thought leader and mentor to many. Her newest Best-Selling book entitled, “The Secret of the Wealth Success Chamber”, is a catalyst that aids readers in unlocking their own gateway to destiny, wealth, and success by systematically creating the blueprint to uncover the identity, purpose, and vision for their lives. In her spare time, Nikita enjoys baking cupcakes with her daughter, making music with her husband, singing, laughing and spending time with family and friends. "Everyone has been born with a very special and unique gift. When that gift is discovered, nurtured and cultivated, its power to change the world becomes undeniable. We must all decide to discover and use our gifts to honor our creator and create global impact that helps to make our world a better place."